I went to interview today with Gary Young. 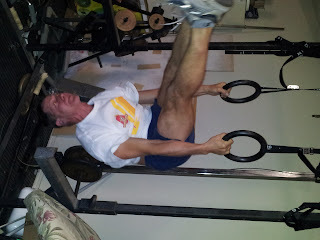 I signed up to take a Personal Training course with him. While I was there a woman came in to sign up for his weigh loss challenge course. She was probably 80 lbs overweight, she said she was comfortable with her body. But she was worried about her ability to function, especially her ability to play with her grand children. She said her doctor told her she was a healthy overweight patient. 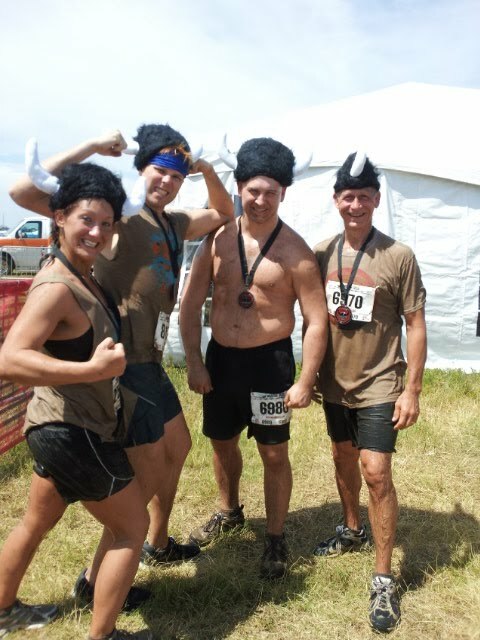 The crew and I ran in the Dirty 30 Race - Zombie Edition today. It was in Hinton, OK. The run was a lot of fun. It was a little cold, but we all had a great time. This morning I weighed 171.5 again. My waist was 37.5". My only complaint about the fast is that it was hard to fall asleep at night. I'm assuming it was due to a lack of serotonin or elevated dopamine. But overall not a bad experience. My weight yesterday was 172.5. My weight today was 171.5. I ran out of Glucose testing strips, so I wasn't able to text my BCL. I've felt fine all day. I did have a little bit of a loose stool this morning, but I think that was the supplements. Its been an easy three days, but I'm looking forward to eating more variety tomorrow. Tanya is out of town for 3 days, so I thought I would do a test. 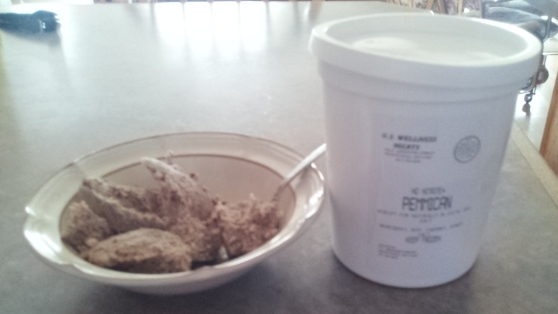 I'm only eating pemmican for the next three days. My starting weight is 174.5 and waist is about 38 inches. I'm using US Wellness pemmican with cherries and honey in it.Their pemmican contain 45% tallow and 55% dried jerky. An entire 3.2 oz contains about 380-400 calories with 20 grams of protein. The cherry/honey version contains 4 grams of carbohydrates. I'm scooping mine out of a container, so I'm not sure how many ounces I'm giving myself per serving. I'll be posting my experiment daily. I've already got my first surprise of the experiment. I tested my Blood Glucose Level and it was 101. This is not good. I thought it would be around 80. 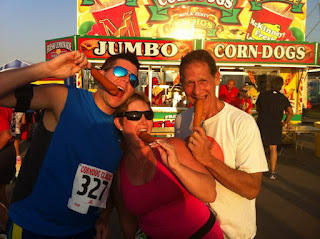 Allen, Tanya, and I ran in the Tulsa Corndog Classic on Saturday. 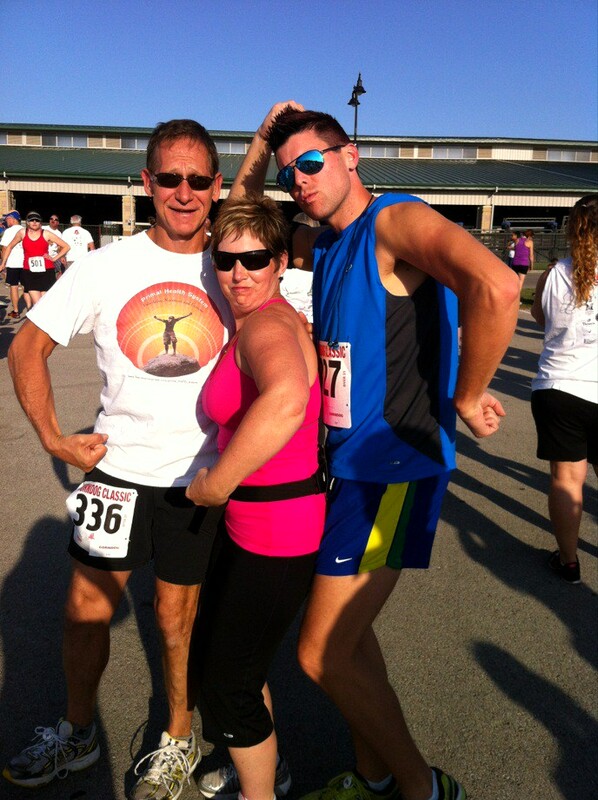 Allen and I ran the 5K. 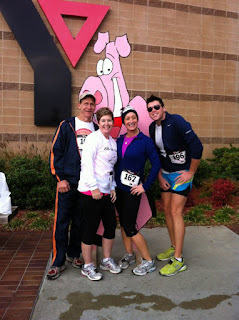 Tanya did the 1mile fun run. I came in 4th in my age group and 35 overall. My time was 27:54. It was a great time. 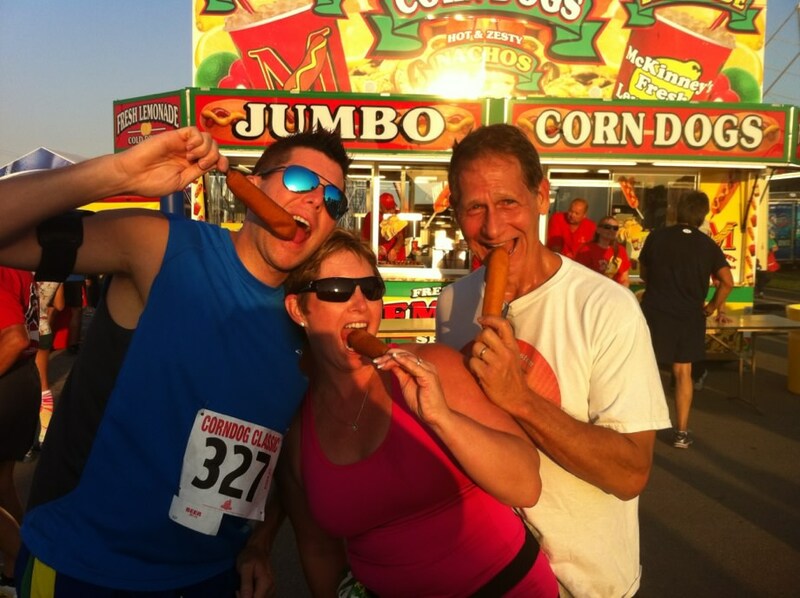 They give you cotton-candy at mile 1, beer or lemonade at mile 2, and a mini corndog at mile 3. Then there is more beer and corndogs at the finish line. 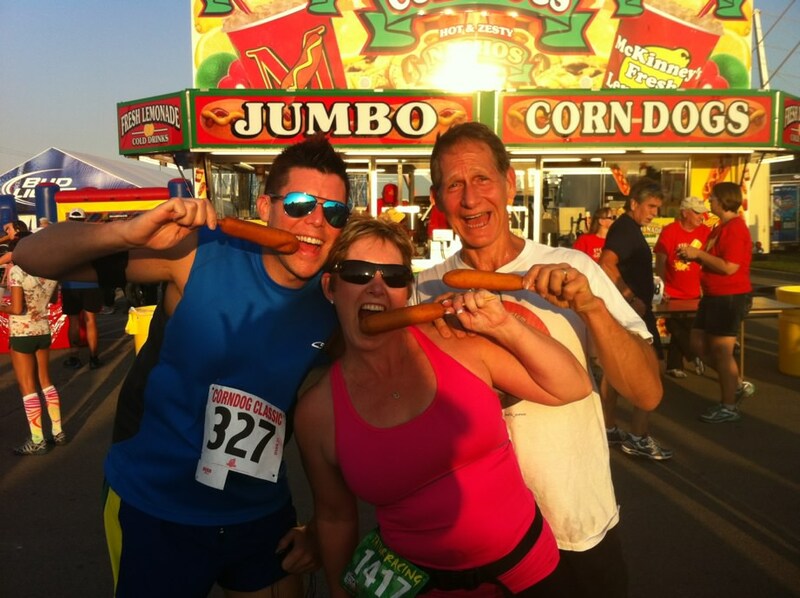 This race kicks off the Tulsa State Fair. This is actually Allen's trophy. He came in 2nd in his age group and 20th overall. 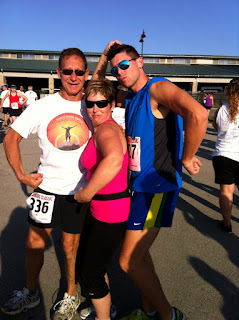 Silliness at the finish line. 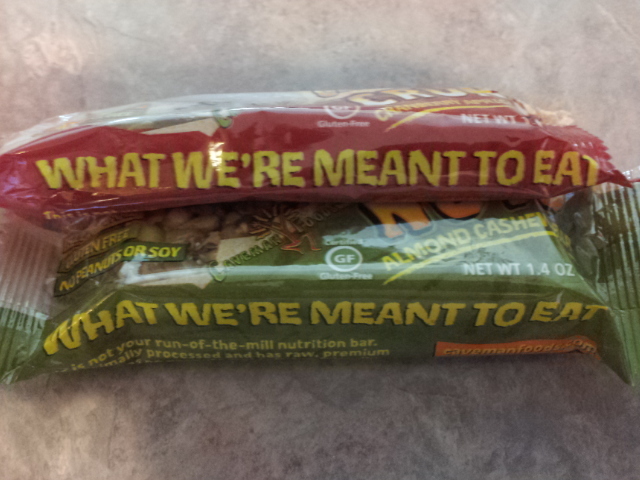 After my run this morning I picked up a couple of snack bars I hadn't seen before and tried them. I went to the Hard Rock Casino this afternoon and did a minute video for the Survivor Casting Call. Wish me luck. 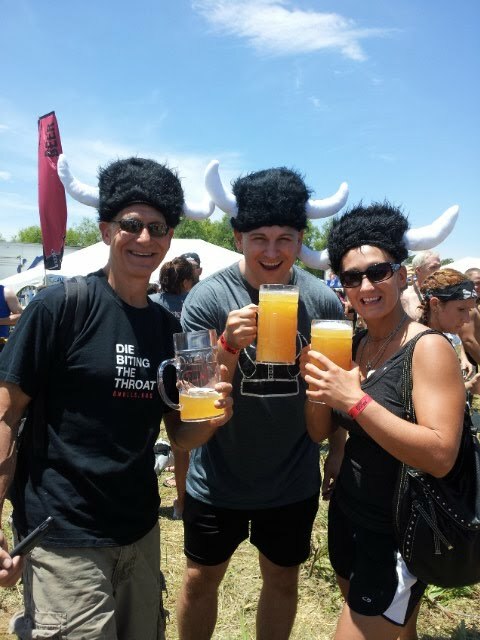 The latest alcohol craze in paleo land is ciders. I tried 4 this weekend. The pear cider from Sir Perry was delicious. 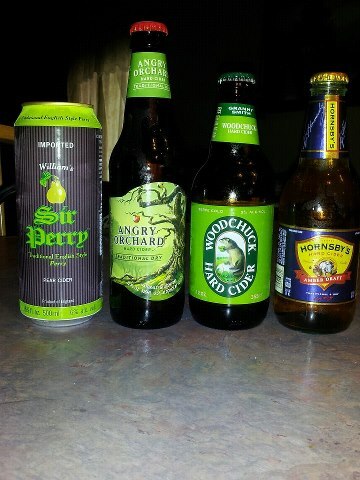 The Hornsby apple cider was sweet. The Woodchuck was tart. The Angry Orchard was somewhere in-between the other two. All four were good. On a different note. I ran in the Escape from Turkey Mountain 5 mile run today. It was a fun but hard run. I've been running in 5k's lately, but this was 5 miles. Not a very good picture, but wgaf. I came in 93rd overall. 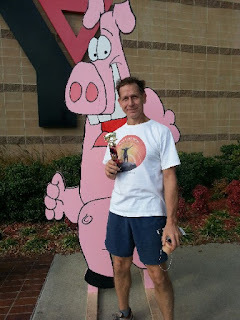 I'm not sure how I did for my age group. Great run this morning on Turkey Mountain with Monica and Allen. 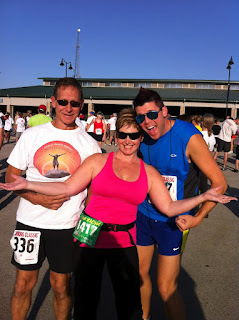 Tomorrow Allen and I will be running in the "Escape Turkey Mountain" 5 mile event. Its been quite a while since I posted a blog. 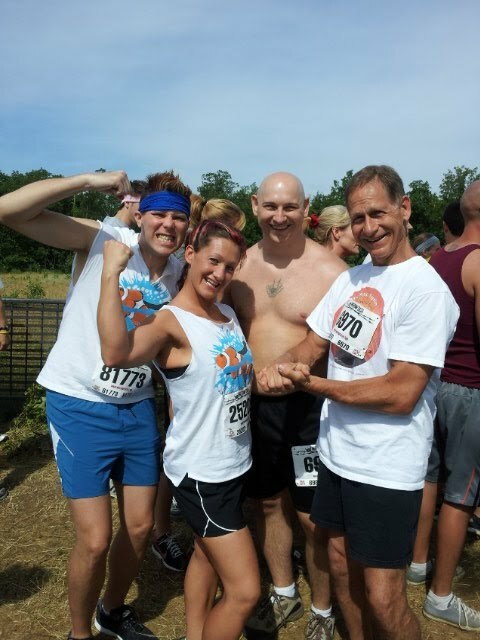 Here's some pictures from the Mud Run back in July. I've got to add a couple of other podcast I've been listening to lately. 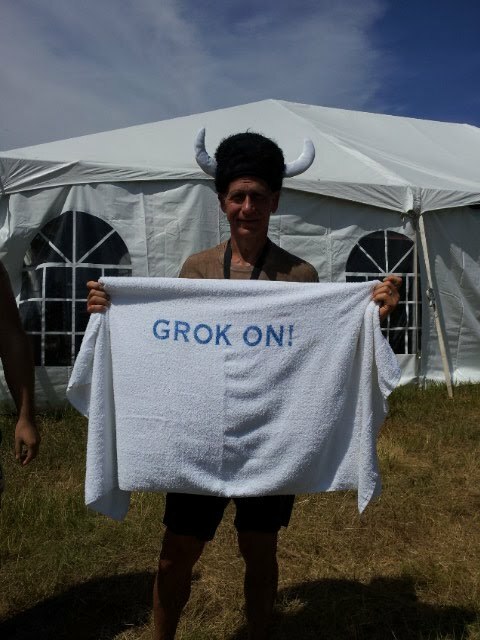 Ben Greenfield is the top trusted source worldwide for people to learn how to use the most efficient techniques possible to transform their bodies, achieve their physical goals and become superhuman. Cavemandoctor.com is a free website that was started due to the high demand for readily available health related information and posts on nutrition, diet, cancer, and other pertinent health topics. The posts are updated frequently and range from general opinion pieces to descriptive reviews of medical literature. Health, nutrition, and dietary information has been turned into an extremely complicated and confusing topic within the field of medicine. 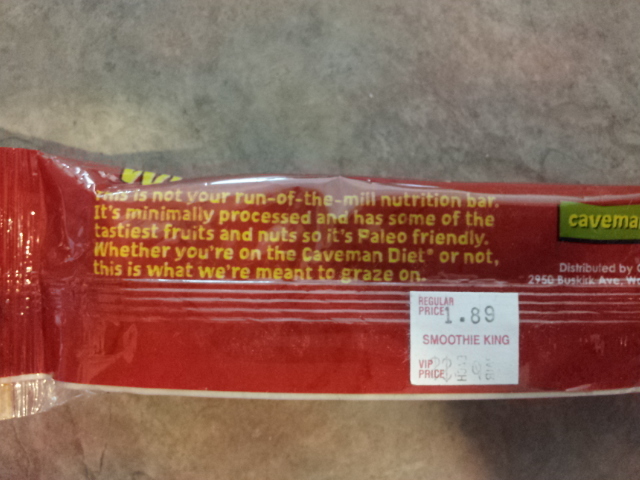 Caveman Doctor’s primary goal is to provide simple methods for analyzing the available literature and following a healthy lifestyle. I read a book that I found really interesting. It was about how to monitor your blood glucose level for weight control. These are in random order, I think all of these shows are great. Today I tried the Liverwurst and Summer Sausage I ordered from US Wellness Meats. They both taste great. I'm really surprised by the liverwurst. It was risky to buy it cause I usually find the taste of organ meats too strong. I thought I might end up throw most of it out. But I can see me eating it all now and ordering more. I also ordered some jerky and some steaks. I'll let you know how they taste, soon. 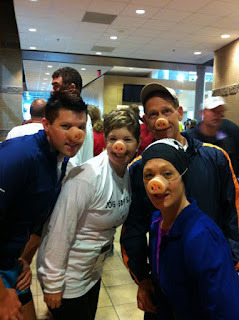 I'll be running in the Tulsa Full Moon 5k this weekend. I also signed up to run the Warrior Dash in June. It should be really exciting. Its been 20 years or so since I've ran in a race. 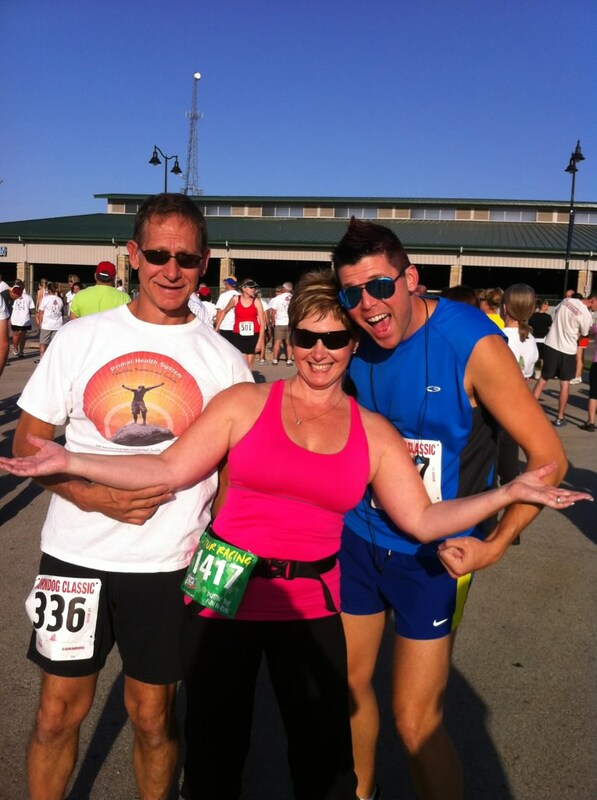 I just completed the the Verdigris 5K Give-and-Go. 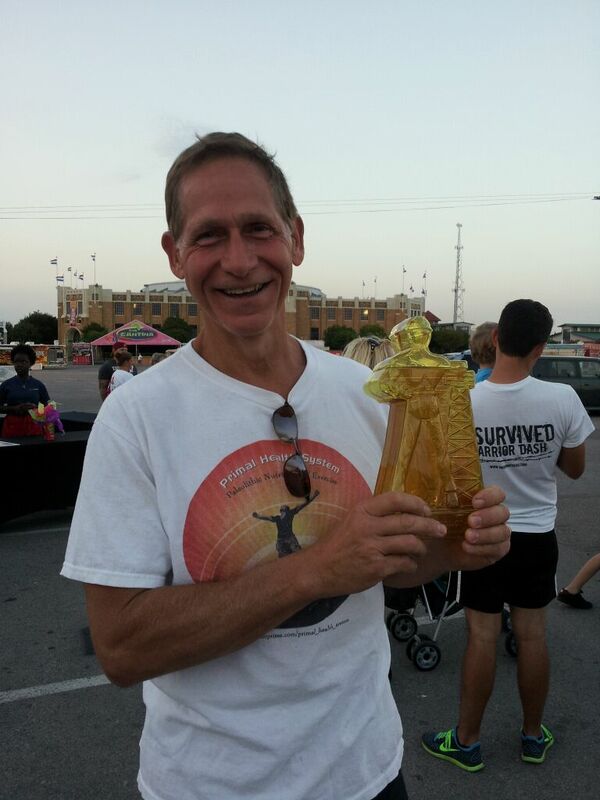 I came in 1st in my age group and 21st overall with no race preparation. Its almost like this Primal stuff works. 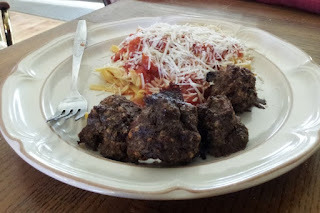 Tonight we fixed Spicy Meatballs made with ground beef and beef livers. It was very tasty and the livers were not distinguishable. 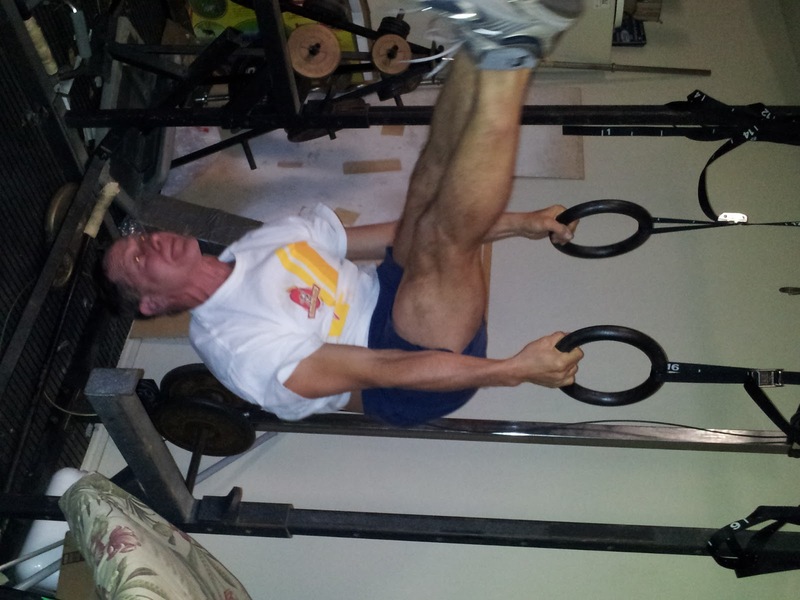 I did a gymnastics class with Justin Adams. He did a great job woring with a large group of us. We were introduced to handstands and walking on our hands. The lectures yesterday were great. 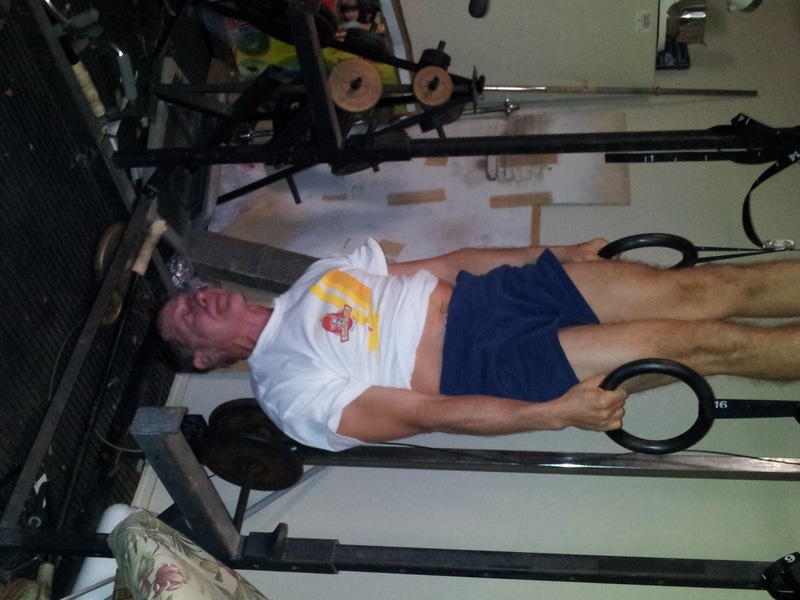 This morning I did a Crossfit WOD. Getting ready to listen to the Masterminds. 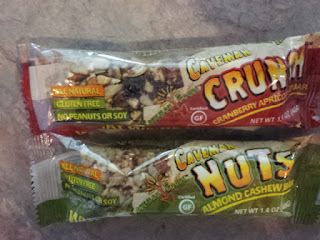 I'm having a great time at PaleoFx. I've talk to Mark Sisson and Angelo Copola. I've seen many other paleo bloggers. I Craig from New Zealand. I can't wait for tomorrow. I would like to thank David and Lynna from Beaven's Martial Arts for hosting my Primal Health System Presentation. I would also like to thank everyone would attended. It was fun to share my Primal Lifestyle with everyone. I wish you all the best in your health and fitness goals. It was 80 degrees in Tulsa today. The water temperature in my pool was 59 degrees. A lot of leaves have blown in the pool over the winter so I put my trunks on and went in. 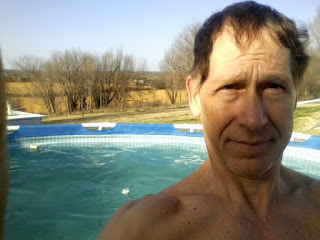 I'm trying to get used to cold water in preparation of my Primal Plunge at Primalcon in April.I stayed in the pool for about 15 minutes. I only went up to my belly button. Maybe next time I'll go up to my neck. If you haven't been watching the video at Paleo Summit you are missing out. Go..Go watch them now. I watched the Mat Lalonde video tonight. AWESOME!!! Today I tried a new recipe. I've been wanting to get some liver into my diet so this is what I did. I cooked up 2.5 lbs of beef chili meat and added about .75 lb of chicken livers to it. I chopped the livers up to make them less noticeable. I think next time I might even blend them up. This is a big step for me. I might even try beef liver or beef heart in the near future. I will be giving my first public Primal Health System presentation on March 3rd. I have a lot of Primal events going on this spring. 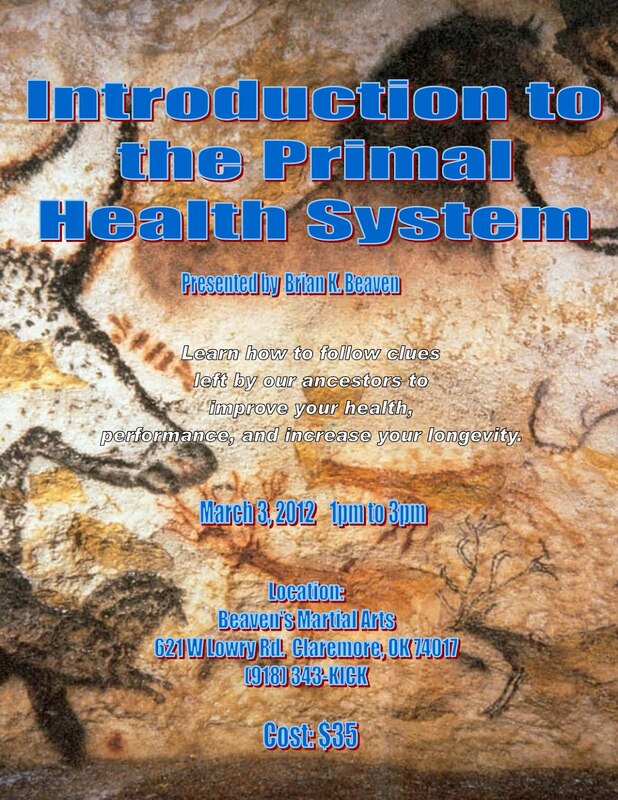 On March 3rd I will be giving my first Primal Health System Presentation at Beaven's Martial Arts. On March 14th I will be attending the Paleofx event in Austin Texas. Then in April I will be attending Primalcon.To say I'm stoked would be an understatement. 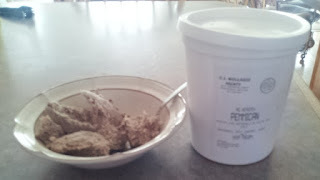 I joined the Paleo blogger list group hosted my Modern Paleo. So 2012 is my year to up my involvement in the Paleo community. Richard Nikoley from Free the Animal posted an interview he did with the guys from The Bulletproof Executive. The interview was interesting and so was the rest of the podcast. I hadn't heard of The Bulletproof Executive until Mr. Nikoley posted his interview. I spent some time yesterday listening to some of their other podcast. I also looked at their websites; The bulletproof Executive and The Upgraded Self.Looks like Dave Asprey has been exploring the same type of self improvement ideas I've been chasing for years.On their Bulletproof site they explore ways to improve ones health, mind, and body. The Upgraded self has products related to those improvements.I'll be working on implementing some of their suggestions over the next weeks.